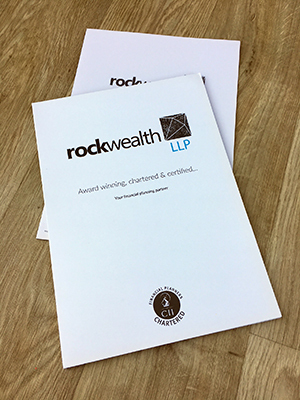 Working with Rock Wealth on several previous print projects we were asked if we could create some folders and supporting literature to help on their clients journey. 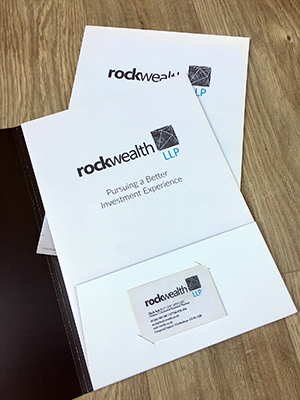 The main artwork was completed but needed some modification to fit in a print format along with some modification for a spot UV varnish that would be applied to the outside of the folders. As we were handling the print requirement for them we were able to pick up an error in the print during the production process and rectify it before it got to the client.